Offering you a complete choice of products which include mineral water packing machine, 6000 bph paper labeling machine and shrink labeling machine. As an esteemed name in this market, we are providing effective Mineral Water Packaging Machine. Extensively used by our precious clients for packaging of water to make it suitable for easy transportation of water without affecting its minerals. At our well-established manufacturing unit, our experts utilize best technology and finest components. Thus, we have attained a prominent position in this competitive market. 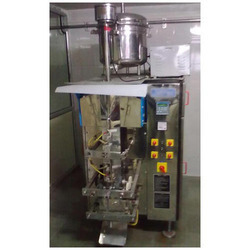 This machine is delivered at reasonable price within stipulated time-frame. 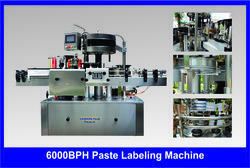 In order to fulfill the ever changing demands of our clients, we offer a quality range of Paste Labeling Machinery. We utilize efficient fabrication technology to cater to every need of clients regarding machinery.